A high quality microphone preamplifier using a single power supply, suitable for dynamic or electret microphones. 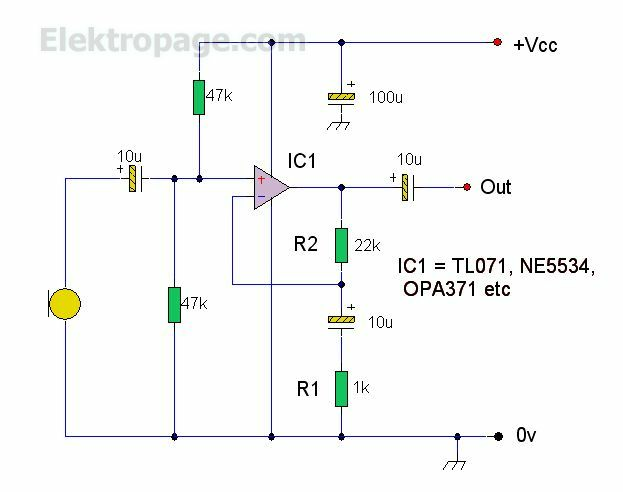 The opamp used can be any low noise, high performance type, e.g. NE5534,TL071, OPA 371 etc.